The chortling of kookaburras or screech of parrots; the smell of eucalyptus as you drive through ancient forests; the taste of yabbies caught fresh that morning. Australia has a capacity to delight all of the senses. Even the landscape is painted with an extraordinary palette, as layers of deep terracotta and burnt umber merge into luxurious swathes of green forest, shockingly slashed through by groves of psychedelic blue gum trees. Having been several times to the wine regions of the south and east, my first visit to Western Australia renewed this sense of wonder. This is a low, gentle landscape by and large, much of it covered in bush, or dotted with sheep farms, apple and cherry orchards. But the coast can be wild, a surfers’ paradise as the Indian and Pacific oceans crash together to create a much more dramatic aspect. Capital of Western Australia, Perth, is by some considerable margin its biggest city. Officially the world’s second most remote city, the distances from here to other ‘big’ towns of Western Australia (usually of no more than 10,000 people) are nothing compared to the distances to the cities of South Australia and the east. Flying from Perth to Sydney is equivalent of flying from London to Moscow – and about half of the way back again. This remoteness influences the West, the relative scarcity of population and massive geographic area meaning its infrastructure is somewhat underdeveloped. Once out of Perth and its environs, roads are as likely to be gravel as tar and small towns have a rugged, frontier feel. Those looking to travel in top class luxury will certainly be able to do so – but only with some careful planning.And yet Western Australia is utterly charming. Unspoiled, fresh and clean, the landscape is loved by the locals who are resolute types with a doughty nature. Their obvious pride in being Western Australians is balanced by an easy ability to see the funny side their isolation. It is only in the past 30 years or so that Western Australia has developed a real reputation for quality wine. 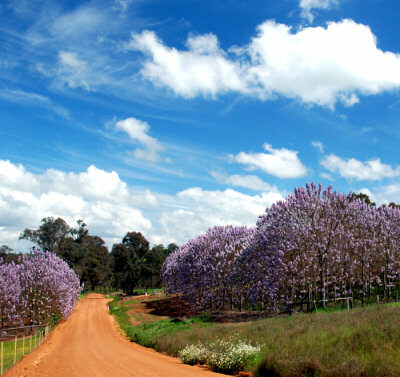 The warmer Swan Valley to the north of Perth is the oldest region, first planted in 1834. But it is far to the south in the much cooler Great Southern and Margaret River regions – now a byword for top flight Western Australian wines – that is the driving force of the industry today. To put that in perspective, whilst Margaret River grows only 3% of the country’s wine grapes, it commands over 20% of the premium wine market. In October 2009 I travelled to Western Australia, to judge The Wine Show of Western Australia and spent a few days visiting some of the region’s wineries, mostly in Margaret River. Reports on a dozen estates and around 100 wines follow. The Wine Show itself was a fantastic experience, as three panels of judges gathered in a chilly Mount Barker in Great Southern to put over 800 wines from all over Western Australia to the test. Classes I judged and which really impressed included 2007 and 2008 Chardonnays, the 2007 Cabernets and the 2007 and 2008 Rieslings, but as the ‘international’ judge at an Australian show, it is always the chance to spend a few days with your fellow judges – drawn from the countries brightest winemakers and wine journalists – that is incredibly informative about the state of play in the Australian wine scene. Margaret River is one of the ‘must see’ destinations of Western Australia. Many international visitors to the State will see Perth, and make the relatively short trip down to Margaret River, even if they see little else. Perth itself buzzes with energy, clearly a city in full, confident stride with a beautiful waterfront and endless supply of attractions. A brand new extension to the Kwinana Freeway heading due south opened the weekend I drove down, cutting the journey time between Perth and Margaret River from three hours to two and half or less. Margaret River is essentially a coastal area, that sits snugly between two Capes: Cape Naturaliste to the north, and Cape Leeuwin to the south. It is a region with a warm, maritime climate, adequate rainfall, and a well-established agricultural economy. At its heart lies the town of Margaret River, smaller than Busselton, the gateway to the Margaret River region to the northeast, but the jewel in the crown thanks to its beautiful setting amongst the prime vineyard sites. 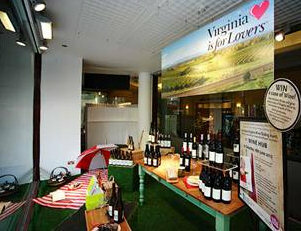 The town of Margaret River has a sophisticated shopping, dining and accommodation scene. It is easy to pass a few days in Margaret River enjoying visits to the vineyards and the town’s attractions. Margaret River has forged its reputation on Cabernet Sauvignon, still regarded by most as the region’s best grape, though the other Bordeaux varieties are popular, as is Syrah. Pinot is happier further south in the cooler regions. For whites, it is pretty much a straight shootout between Chardonnay and Semillon/Sauvignon Blanc – the latter two bracketed together because they are almost always blended together here. Viognier in encroaching a little, as is Pinot Gris, but the big three hold sway for now. Margaret River has forged a reputation for making wines of balance and subtlety. Whether it’s down entirely to the climate and soils here, or whether it is down to the region’s isolation and determinedness to ‘do its own thing’ I do not know, but the full-throttle, super-ripe styles that can still be found in Barossa and Coonawarra rarely occur here. 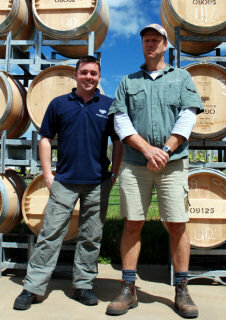 As in much else, when it comes to winemaking, Margaret River and Western Australia march to a slightly different beat. Dry blends, both red and white, are the mainstays of the region, similar to Bordeaux – a region that is comparable in terms of climate and, to some extent, wine style. A little sparkling wine is made, and some sweet wines – there are some good liquor muscats and tawnies to be found in Western Australia too. The Margaret River wine industry owes a great debt of gratitude to Dr John Gladstones. Gladstones, an agronomist and professor at the University of Western Australia, was the first person to research the soils and climate of the region before declaring them perfect for grape growing – only in the late 1960s.Gladstone’s work inspired local men Tom Cullity and Kevin Cullen, who became the first to plant vines in the area in 1967 at Vasse Felix and Cullen Wines. Also in that first wave of five ‘founding fathers’ were Cape Mentelle, Leeuwin Wines and Moss Wood. Four of these five are the subject of my first set of Margaret River profiles below. Our conversation turned to the ‘SSB’, and how wines here could have a pungency not unlike Marlborough Sauvignon Blanc. 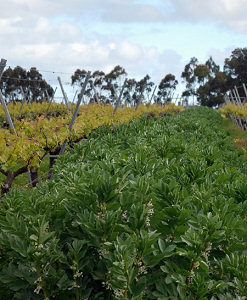 “Margaret River Semillon produces grass and thistle notes,” according to Virginia, but she insists it is not a ‘green’ character of under-ripeness, but part of the Margaret River terroir. “We don’t have green vegetable characters, we have soft, leafy herb characters of the region like thyme and marjoram – the two are nothing like each other.” The wines are distributed in the UK by Negociants UK. Unfortunately Vanya Cullen couldn’t be here to meet me as I’d left her a couple of hundred miles away in Mount Barker that morning, where she was finishing up some duties as Chair of the Wine Show of Western Australia. As I’d spent the previous few days judging the show I’d had plenty of opportunity to get to know this very serious, dedicated but jolly winemaker, who’d spent as much time giggling as deliberating earnestly over tough judging decisions. One of the best known and most respected names of Margaret River’s estates, Cullen is famously organic and biodynamic too, the vineyards looking unlike any others I have seen, each row interspersed with other crops (right). The vineyards are also ‘dry farmed’, with no irrigation. They have been Biodynamic certified for five years, having been organic for a decade – and the entire operation is carbon neutral. The on-site restaurant serves vegetarian and organic meals to packed houses each lunch-time, much of the produced sourced from the vineyard’s market garden. Diana and Kevin Cullen were dairy farmers here in the 60s when John Gladstones suggested the area might be interesting for vineyards. Vanya took over winemaking shortly after graduating from Roseworthy college with a Graduate Diploma in Wine in 1986. She has also worked stints at Robert Mondavi in Napa and Drouhin in Burgundy, and it is her personal philosophy that very clearly drives Cullen’s ecological and sustainable business ethic. The wines prove the formula works, with the top Bordeaux blend, Diana Madeline, regularly awarded as one of Australia’s finest wines. The philosophy here extends from the vineyard to the winemaking, with a policy of minimum interference “essentially we let the wines make themselves.” Liberty Wines is Cullen’s UK agent. Unfortunately I also had to leave senior winemaker Rob Mann behind in Mount Barker where we’d judged together, but winemaker Tim Lovett (right) did a fantastic job of showing me around. Since 1977 Cape Mentelle has become one of Margaret River’s best known names, thanks to its founder and erstwhile winemaker David Hohnen having also founded Cloudy Bay in New Zealand (Hohnen now makes terrific wins with his brother in law at nearby McHenry Hohnen). Around 60% of Cape Mentelle’s production is white. “SSB is the volume driver,” Tim tells me, “but we try to over deliver on quality.” There is also a focus on small batch Chardonnay. A 2008, tasted from barrel, showed the complexity and experimentation here: 80% fermented with ambient yeasts, 40% of it in new oak. Viognier is also an increasingly important part of the mix, including a new Botrytis cuvée – one vineyard will be dedicated to making the Botrytis wine from now on, the grapes left to naturally develop Botrytis in the dry, windless conditions. Cape Mentelle and Cloudy Bay are now owned by French luxury house Louis Vuitton Moet Hennessey. Tim tells me that LVMH allows the winery to operate autonomously, though buying barrels and supplies for Cape Mentelle, Cloudy Bay and Domaine Chandon does bring benefits for the Antipodean operations. Around 85% of the oak in the cellars is French, the rest US, but I saw lots of oak trials as the team is constantly evaluating coopers and woods. Cape Mentelle’s Cabernet Sauvignon helped put the youthful Margaret River region on the map in 1984 and 1985, with two consecutive wins of Australia’s most prestigious wine trophy, the Jimmy Watson Trophy. Leeuwin has carved an enviable name for its extremely fine varietal wines. Top of the range is the ‘Art Series’, with an outstanding Chardonnay and superb Cabernet Sauvignon, Riesling, Sauvignon Blanc and Shiraz. The ‘Prelude’ range is lower priced but still offers handmade wines of very high quality and capable of cellaring, whilst the ‘Siblings’ range is intended to be ready to drink. Today Leeuwin’s operation is a huge tourist attraction in its own right, with a fine restaurant and series of international concerts staged in the grounds each summer that has featured everyone from the London Philharmonic Orchestra, to Diana Ross, to Sting in its 25 years. Jeff and Amy Burch, owners of Howard Park winery had hosted me at a couple of fantastic events at their Margaret River Winery over the weekend (see International Riesling Tasting and Extraordinary dinner), so it was a pleasure to taste through their range with head winemaker Tony Davis, at the helm since January 2007 having completed 17 vintages at wineries including Yalumba and Brown Brothers, as well as three vintages in France and the USA. Howard Park is an unusual operation in that it has two wineries and two sets of vineyards in Western Australia, one in Margaret River and one in Great Southern, a couple of hundred miles south and east, with much cooler conditions, and the source of Riesling, Chardonnay and Pinot Noir for their range. Second label Madfish is also well known in the UK. Run almost as a separate company, Madfish produces wines with “an emphasis on enjoyment and drinkability,” from Margaret River and Great Southern fruit, sometimes blended and carrying the ‘Western Australia’ designation. Howard Park’s Margaret River cellar was completed in 2000, and was built according to feng shui principles, aligned 2.5 degrees off magnetic north. It is a cool, relaxing place, with a busy cellar door operation. Parts of the property have been deliberately left as nature reserves to provide habitat for birds and wildlife. 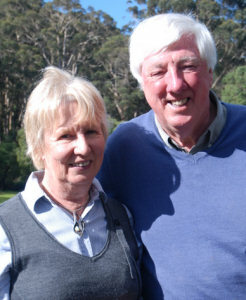 The Burches say their long-term plan is to create a bird sanctuary to be enjoyed by visitors to the winery. The vineyards are not farmed organically, but vineyard manager in Margaret River, Jeff’s brother David, says achieving harmony is his aim, keep the human impact on the environment to a minimum and targeting treatments on specific areas only if and when it is required. 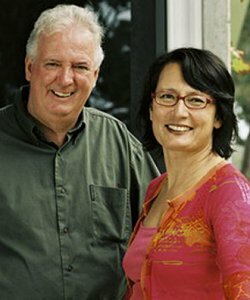 In 2008 Jeff Burch and Burgundian winemaker Pascal Marchand launched a joint venture called Marchand & Burch, making wines in Western Australia with a French philosophy. Those wines are also made with Tony Davis in day-to-day charge, and all three labels – Marchand & Burch, Howard Park and Madfish are imported by Bibendum Wines. It’s fair to say that the recent history of Evans & Tate has been a turbulent one. With a history dating back to 1974 it was a shock when Evans & Tate went into receivership 18 months ago. To the rescue, in stepped the McWilliams company, who had shown interest in acquiring E&T before its financial problems came to a head. Export Manager Sue Croft told me that Evans & Tate still think of themselves as a family winery producing premium wines, even within the volume operation that is McWilliams (McWilliams is part-owned by Gallo). Now part of Australia’s fourth biggest wine group (behind Pernod Ricard, Constellation and Fosters) E&T will hopefully be on a firmer footing. 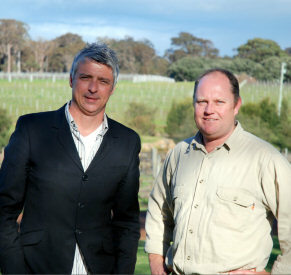 Matt Byrne (right) remains at the wine-making helm as he has been since 2001. Let’s hope the top wines of this estate retain their quality, as everything of Reserve level and above that I tasted was terrific, however the wines in the newly released ‘Split Road’ brand were rather overly sweet for my taste, in a too blatantly commercial style. The company suffered a double whammy of bad luck recently when their UK distributor, HwGC collapsed, leaving them to find a new distribution, which they have done in the shape PLB Ltd. The company’s wines are currently in Tesco.com with the Classic range, and in some Tesco branches and other retailers with others ranges. Clairault estate lies to the north of the town of Margaret River, on the way to the township of Yalingup. I met up with General Manager Connor Martin (left of picture), one of the three brothers who own and run the estate, and Chief Winemaker Will Shields, who hails from New South Wales but who has made wine in Western Australia since graduating from Roseworthy university in 1993.Will was formerly head winemaker with Vasse Felix. Clairault was planted in 1976, putting it amongst the region’s oldest estates. The Martins, originally from Ireland, have created an attractive cellar door operation complete with restaurant. Connor has just been to Hong Kong in a sales drive and will be returning there soon looking for investment into the property, with a plan to build housing, a spa and hotel within the grounds. For the last six years the estate has been working almost chemically free and using biodynamic practices. Will tells me “We’ve no real wish to be certified, as we like to use a little more sulphur than some, and in this climate it would tie us down too much.” Unlike much of the east and south, there are no real problem with drought in Western Australia, “especially closer to the coast,” says Will, though he adds “Although rain doesn’t seem to be getting as far into the country as it once did.” A double trophy winner for their Cabernet Sauvignon at the International Wine Challenge in London, Marks & Spencer stock Clairault’s Sauvignon Blanc and both Cabernets (priced at £9.99/£16.99). The wines are also in the UK on-trade through Waverley. I visited Stella Bella at their home vineyard in Karradale, around 25 minutes driving south of the town of Margaret River and one of the coolest parts of the region. 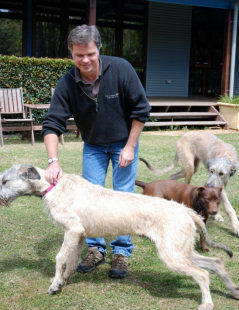 Not cool enough for business and winemaking partners Janice McDonald and Stuart Pym (right, with wolfhound pups), who also have eight hectares right on the southern tip of Margaret River at Augusta, at an elevation of just five metres. Janice started her winemaking career at Vasse Felix, Stuart at Devil’s Lair, so both have Margaret River wine coursing through their veins. The pair actually met whilst studying winemaking at Roseworthy and produced their first 200 cases of Stella Bella in 1999. The names of their three brands – Stella Bella, Suckfizzle and Skuttlebutt – say something about the relaxed irreverence of the team here, though the wines are taken very seriously. Stuart once made wine at Domaine de Chevalier in Pessac-Leognan and their top white wine, the Suckfizzle Sauvignon/ Semillon is a determinedly “terroir” wine, in the style of a Graves Grand Vin. Janice’s career is no less interesting, including her stint as head brewer at Little Creatures brewery in Freemantle for its first year. The Suckfizzles top the range, coming from that southerly Augusta vineyard. Down here, wind and the extent of cloud cover during the ripening season are significant risks, but as Stuart says, “it’s challenging, but it creates a unique wine and unique experience every vintage.” The Stella Bella range is the ‘core’, and is quirky and adventurous including not just Margaret River classics like Cabernet Sauvignon and Semillon/Sauvignon Blanc, but everything from Pink Muscat to Sangiovese to Tempranillo. Added later as an entry level, fruit for Skuttlebutt is sourced from across Western Australia. UK importer is Alliance Wines. Voyager Estate is one of the most striking, and most visited in Western Australia. The Cape Dutch architecture of the buildings may be a tad incongruous, but it is beautiful against the clear blue skies and green of the vineyards. But it is Voyager’s stunning gardens that are the main tourist draw here – as well as the wines of course. 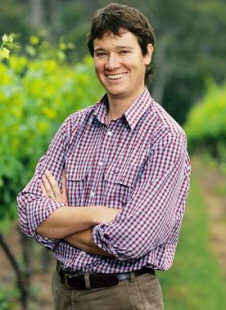 Of Scottish decent, Michael Wright is the third generation to run his family’s mining and agricultural businesses, adding Voyager to the portfolio in 1991 when he also changed its name from Freycinet Estate. I met up with viticultural and winemaking manager Steve James (right of picture) whose experience includes stints at Stonier’s Winery in the Mornington Peninsula and nearby Amberley Estate. Since joining Voyager Steve has worked hard on improving canopy management whilst at the same time reducing the use of pesticides and chemicals. He is moving Voyager towards a “more organic based vineyard,” though like many in this region, I sense he is wary of going the full organic hog given the region’s occasionally wet and humid climate. 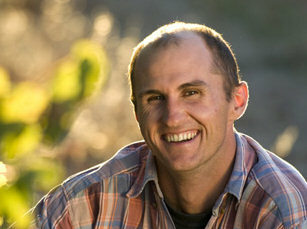 A shake-up in 2009 saw former viticulturist Steve take over management of the operation when winemaker Cliff Royle resigned. Some rumours suggested he was unhappy with volume being increased at the expense of quality, but he has since been replaced by Travis Lemm (left of picture) and on my visit the new team seemed full of confidence and committed to making the highest quality wines. Sampling the most recent vintages seemed to bear this out. Wines in the Tom Price range are only made in exceptional years and are sourced from single vineyards on the Estate. UK importer is Justerini & Brooks. Devil’s Lair is located in the southern part of Margaret River, where their vineyards were planted in 1981. 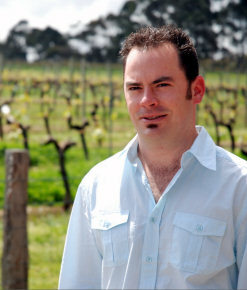 The softly-spoken and laid-back Oliver Crawford has been chief winemaker here for just over a year, arriving fresh from Penfold’s in South Australia, where he made Yattarna amongst other white wines. Devil’s Lair is part of the same Fosters group, so it’s not so much an all-new experience, but is still a big change of style, philosophy and location. “It was time for a change,” he tells me, “with two kids it’s great to be living so close to the beach and it’s great to be your own boss.” Oliver says his ambitions for Devil’s Lair include “getting a better hierarchical structure within the brand,” hence the new ‘Dance with the Devil’ entry level, but he is still focused on the top wines, especially since “The quality of those has a trickledown effect.” He’s certainly targeting the top, and he tells me “I’d love to knock Leeuwin off of its top Chardonnay pedestal some day.” Coming from the man who is acknowledged as getting the best out of Penfold’s Yattarna, that ambition could be more than winemaker’s bluster. 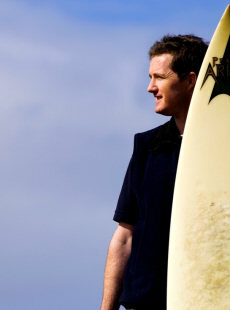 A Kiwi by birth, winemaker Glenn Goodall first visited Australia on a surfing holiday in 1989. On that holiday he picked up vineyard work in New South Wales, which eventually led to a degree in winemaking from Roseworthy, via stints in Bordeaux, New Zealand and California. In 1996 he left for South Africa, spending two years making wine at Glen Carlou estate, before settling down in the Margaret River region. He joined Xanadu in 1999. Xanadu is another of Margaret River’s wineries that has been through many changes, some of them difficult. The owning Lagan family floated the company on the stock exchange in 2001. The public listing led to a massive drive after volume, with output quadrupling in just a few years. Xanadu’s reputation, and some say quality, suffered through this period, and in 2005 the business was purchased by the Rathbone family, to add to their impressive portfolio of wine estates that includes Yering Station and Mount Langhi Ghiran. Though one of the earliest vineyards in the area, planted in 1977, Xanadu’s 85 hectares today are still pretty much dedicated to Margaret River’s key varieties Chardonnay and Cabernet Sauvignon, as well as Sauvignon Blanc and Semillon. Xanadu’s UK agent is Enotria.